The Medieval fashion and dress of the Middle Ages was dominated and highly influenced by the Kings and Queens of the era. Only the wealthy could dress in fashionable clothes. Laws dating back to the Romans restricted ordinary people in their expenditure. These were called Sumptuary Laws. The definition of the word Sumptuary is derived from the from the Latin word which means expenditure. English Sumptuary Laws were imposed by rulers to curb the expenditure of the people. Sumptuary laws might apply to food, beverages, furniture, jewelry and clothing. These Laws were used to control behaviour and ensure that a specific class structure was maintained. The Medieval English Medieval Sumptuary Laws were well known by all of the English people. The penalties for violating Sumptuary Laws could be harsh - fines, the loss of property, title and even life! The Medieval period had been dominated by the Feudal system - everyone knew their place! Clothing provided an immediate way of distinguishing 'Who was Who'. 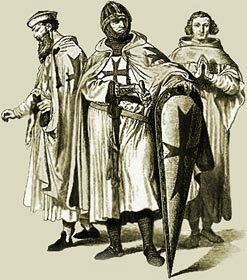 Medieval clothing and fashion like everything else was dictated by the Pyramid of Power which was the Feudal System and the Sumptuary Laws which were passed by the Medieval Kings of England. The first record of sumptuary legislation is an ordinance of the City of London in 1281 which regulated the apparel, or clothing, of workman. These related to workers who had working clothes supplied by their employer as a part of their wages. Fashions and trends between countries were frequently imitated and this first Sumptuary Law was probably copied from a European country. The second record of sumptuary legislation occurred during the reign of King Edward II (1284-1327) related to food expenditure. King Edward II issued a proclamation against 'outrageous consumption of meats and fine dishes' by nobles. The next records of sumptuary legislation occurred during the reign of King Edward III (1312-1377). King Edward III passed these Sumptuary Laws to regulate the dress of various classes of the English people, promote English garments and to preserve class distinctions by means of costume, clothes and dress. "no knight under the estate of a lord, esquire or gentleman , nor any other person, shall wear any shoes or boots having spikes or points which exceed the length of two inches, under the forfeiture of forty pence." These Sumptuary Laws distinguished seven social categories and made members of each class easily distinguished by their clothing. The Medieval Times website provides interesting facts, history and information about the clothes and fashion which scatter the Medieval History books including Medieval Sumptuary Laws. The Medieval Times Sitemap provides full details of all of the information and facts about the fascinating subject of the lives of the people who lived during the historical period of the Middle Ages. The content of this article on Medieval life and times provides free educational details, facts and information for reference and research for schools, colleges and homework for history courses and history coursework.